Germany's Chancellor Angela Merkel on Friday backed Mexico to press for a successful renegotiation of the North American Free Trade Agreement with Donald Trump, thanking its government for keeping German interests in mind during the talks, reports Reuters. 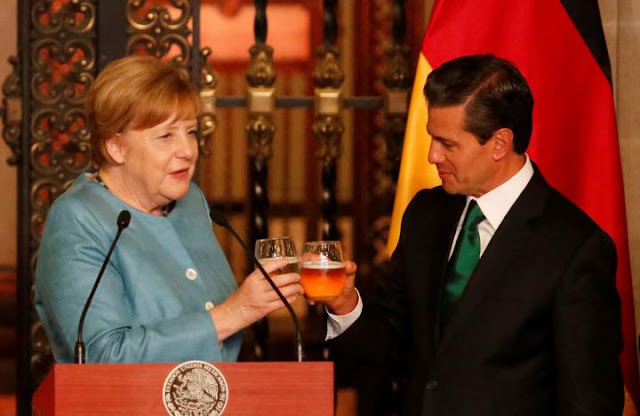 Germany and Mexico have pursued policies tailored toward exporting manufactured goods, and both ran trade surpluses of more than $60 billion with the United States last year. Many of the biggest names in German manufacturing have factories in both Mexico and the United States, including carmakers such as Volkswagen, BMW and Daimler.